Pianist, composer and arranger, Beppe Barbera is graduated in piano and has recently got a second level academic degree in jazz music from the “Giuseppe Verdi” Milan Conservatory with full marks. 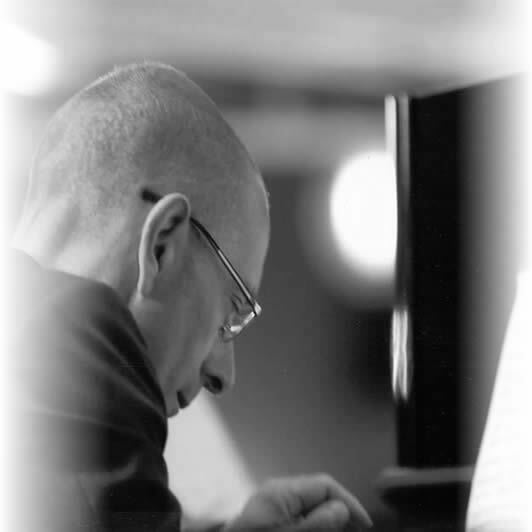 He is currently teaching complementary harmony at the “Istituto Musicale Pareggiato”, in the Aosta Valley. He expresses his musical personality in various directions, switching from didactic activities to working as a musician and composer: he has given lessons and seminars on improvisation for public and private schools, musical institutes and conservatories; he has played at festivals and clubs; he has taken part to radio and television programmes and has contributed to setting up theatrical plays and performing live music for silent films. For groups of different nature (orchestra and chamber ensembles, solo instruments) he has composed pieces that were performed at festivals and academic settings and were published by Berben and Animando editions; furthermore, he has recorded CDs which have been highly appreciated by the specialized critics. In composition and arrangement, in particular, his projects for strings earned him the approval of distinguished soloists from different backgrounds. In the jazz projects his stylistic hallmark, always easily recognizable, moves freely among different and sometimes contrasting atmospheres: in some contexts his refined timbric-harmonic research has a preference for chamber and intimate sounds (“Day Dreams” – L’ Eubage Editions, 2005) whereas elsewhere the musician reveals an ironic flavour or one tinged with unease (“Mon Dieu! – L’ Eubage Editions, 2001). The experience in different musical fields (classic, folk, jazz) developed over the years and merged in his works with taste and equilibrium gives his production an original style.